Puff StitchPuff StitchAs the name suggests, crocheted V-stitches resemble the letter V. There are many variations of the puff stitch and they are all so distinctive and great looking. 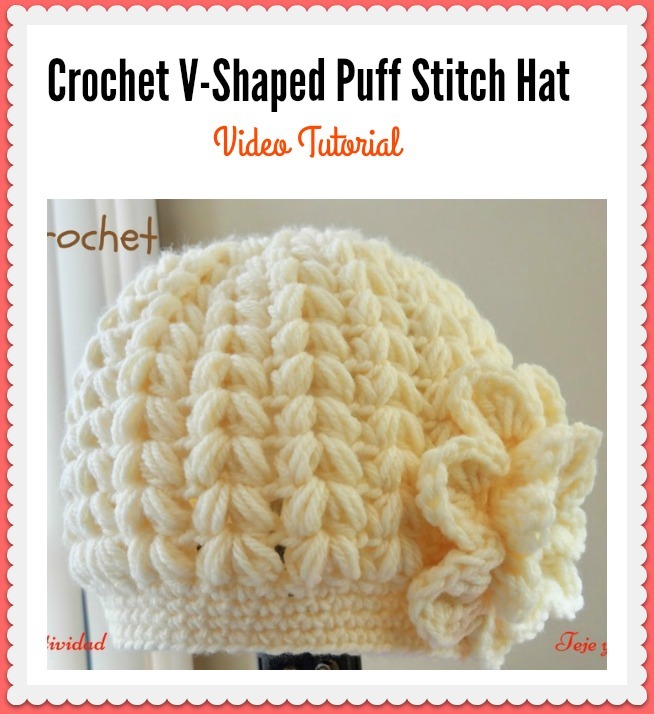 This V-Shaped Puff Stitch Hat Crochet Pattern uses the puff stitches to create a beautiful texture on the hat. Style and warmth are must-have qualities in a hat and this one satisfies both quite easily. Since it is quite thick, it can actually be used for scarves, hats, blankets or even purses. The density of these stitches makes this hat absolutely perfect for snowy and blustery days of winter. The pattern is quite easy to follow. Enjoy. 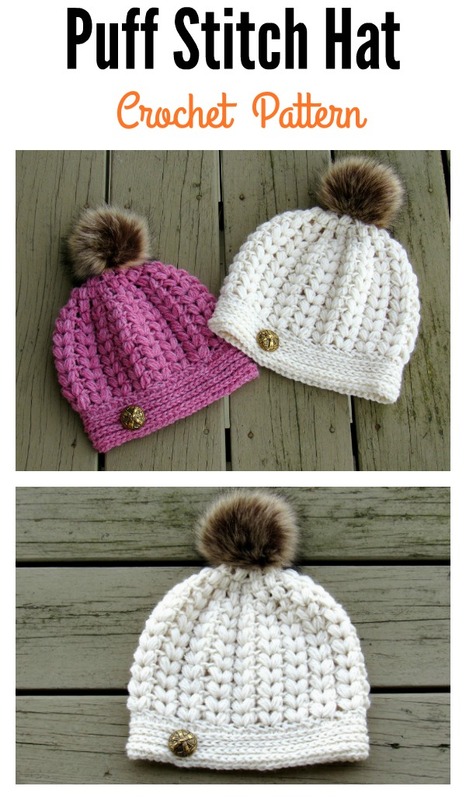 You might also like Crochet YoYo Puff Free Pattern and Video Tutorial.